Blog on Dentures, Root Canals, Family Cosmetic Dentistry, Implant Tooth and Whitening . If you start neglecting the health of your child’s teeth then it is only likely that the little one will face serious dental problems. It is true that most health insurances do not provide dental coverage but that should not mean you disregard dental checkups. Regular visits to a dental expert will not only ensure oral safety but will also save your child from unwanted dental pains. A baby’s milk teeth may not permanent, but they still need the same amount of attention as adult teeth. If milk teeth experience trauma, they have the ability to damage the growing permanent teeth along with the gums. Toddlers are known to be curious, and sometimes, they can land into a lot of trouble because of this. They may fall down and damage their teeth. Infants who have just learned to walk are particularly vulnerable to falling and slipping. Therefore, it is extremely important for parents to make sure they are watchful and have the contact information of a good emergency dentist. Normally, milk teeth cannot be re-implanted. However, permanent teeth can be easily reattached if the child is offered treatment within an hour from the time of injury. Also, if your child loses a permanent tooth, put it inside a clean container and rush to a dentist. In case of bleeding, strong pressure should be applied on the affected area to stop the blood. Emergency can happen at any time. If your dentist does not offer emergency services, it is best to make arrangements with a clinic that can tend to you in case of an urgent situation. 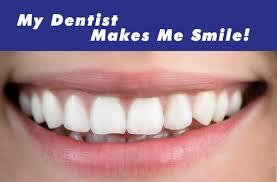 One of the best ways to find out about emergency dentist Baltimore Maryland is to search online. Do You Have An Emergency Dentist On Call? Much like injuries and accidents, dental emergencies can happen at any time and anywhere. When a crises situation arises, you will need to go to an emergency dentist. This is a kind of dentist that is on call 365 days a week, twenty-four hours a day to handle all kinds of dental emergencies. There are a range of processes that these dentists can work on. Teeth can break out of our mouth for a variety of reasons. An Emergency dentist Baltimore Maryland works to save the teeth and puts it back in its place with ease. The dental expert will flush the socket that the tooth was inside so that it can be fixed properly. Temporary orthodontic wire may also be sued to keep the tooth in its place while it is being set back into its right spot. Implants can also get damaged. In severe cases of implant emergency, the dentist may install a new crown while in other situations the crown may be remolded or filled so that it looks its best. An emergency dentist will work towards handling this condition. It is very common for teeth, especially wisdom teeth to get impacted. This can cause a lot of pain in the mouth that does not go away easily. Emergency extraction that involves the removal of the impacted tooth may be needed in such cases. Abscesses are regarded as serious dental emergencies. Abscesses are pus buildups that are created because of bacteria and other dangerous materials. In case of an abscess, an emergency dentist will remove the buildup properly so that it does not spread and damage the rest of the teeth. It is especially important to get the abscesses removed through an emergency dentist because not all abscesses can heal on their own. Sometimes an emergency dentist open Sunday may have to perform an urgent root canal treatment. This is a surgical treatment that dentists can work with. An infection that develops within the tooth area will have to be handled. This is to ensure that the infection does not spread to the jaw. An emergency dentist can help the patient out with various dental emergencies. Our smile is one of the biggest assets we have. Unfortunately, there are so many people who avoid breaking into one – they cover their mouths because they are afraid their imperfect teeth will create a bad impression. The problem with teeth is that they tend to grow differently on different people. There are some who are blessed with the most perfect set of pearly whites, while there are others who suffer from extreme misalignment. Bad habits can also take away from the beauty of our teeth. Drinking coffee, smoking, consuming wine or tea, poor oral health, can cause so many gum and teeth concerns. The good news is, people do not have to spend the rest of their lives covering their mouths and suppressing laughs because there are advanced dental treatments or processes that can help enhance the look of their teeth. Here are some of the most popular treatments that expert dentist in Baltimore Maryland use. Invisalign – Invisalign is essentially used as a replacement for braces to rectify underbites and overbites. It’s basically invisible, making it more visually appealing. Apart from this, they are more comfortable than their traditional counterparts. Tooth whitening – This is one of the most popular procedures used for correcting the discoloration of the surface of the teeth due to frequent coffee-drinking, smoking, and other harmful habits. It restores the shine of the pearly whites. Dental veneers – These are custom-made, wafer-thin shells that are designed to cover the front surface of teeth. They are used for enhancing the look by changing the shape, color, length or size of the teeth making them the right solution for people with gaps between teeth and those with stained teeth that cannot be fixed by tooth whitening. 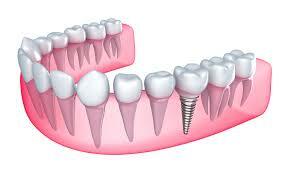 Dental implants – Dental Implants are recommended for those who suffer from missing teeth. In fact, most clinics believe these prosthetics to be extremely efficient and effective in comparison to dentures. They fit more snugly in the mouth and feel like one’s own teeth so they are easy to maintain as well. If you are conscious about your smile and need to get it fixed, it is important to choose the right specialist. Check whether the expert has experience in the particular treatment you are looking to get done. Cosmetic dentistry treatments, especially the ones mentioned above, need to be performed by skilled experts or otherwise you may end up in a fix. You should ask a lot of questions about the experience and equipment the clinic has and whether the dentist is open Sunday in Baltimore Maryland. By doing this, you will have a clear picture of the treatment you are going to take in advance.